Corfe Bears > Charlie Bears > MITZI 11ֲ½"
Mitzi is made from a lovely mix of ginger, greys and white and she has a long, bushy tail, perky ears and flat paw pads, so she will stand un-aided. 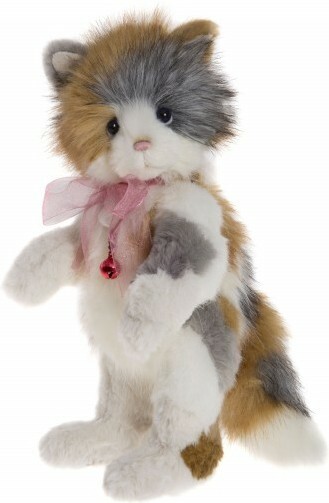 She has a small, cute pink hand-stitched nose and is accessorised with a pink organza ribbon and bell necklace. Will this cheeky little kitty purr her way into your affections?? Mitzi is from the Charlie Bears 2017 Collection. Hand wash cool, with care.